WASHINGTON House Financial Services Committee Chairman Spencer Bachus (R-Ala.) didnt address specific credit union legislative priorities during his speech at NAFCUs Congressional Caucus, but he commiserated with attendees about the dangers of excessive regulation. 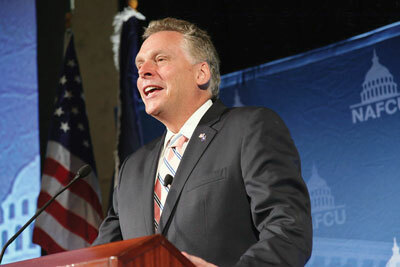 Former Democratic National Committee Chairman Terry McAuliffe said both parties are to blame for the political gridlock in Washington that is exacerbating the nation’s economic problems. But he added that it is too early to early to predict with certainty how the recession will imptact next year’s election. WASHINGTON — House Financial Services Committee Chairman Spencer Bachus (R-Ala.) didn’t address specific credit union legislative priorities during his speech at NAFCU’s Congressional Caucus, but he commiserated with attendees about the dangers of excessive regulation.